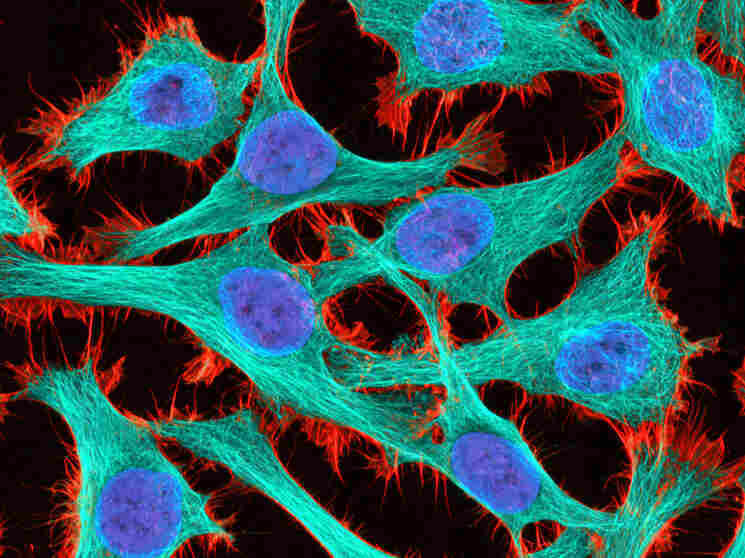 HeLa Cells: NIH And Lacks Family Agree On DNA Access : Shots - Health News A special committee that includes two members of the Lacks family will review scientists' applications for access to the genetic sequence of cells derived from a tumor that killed Henrietta Lacks. The cells are among the most widely used in research. 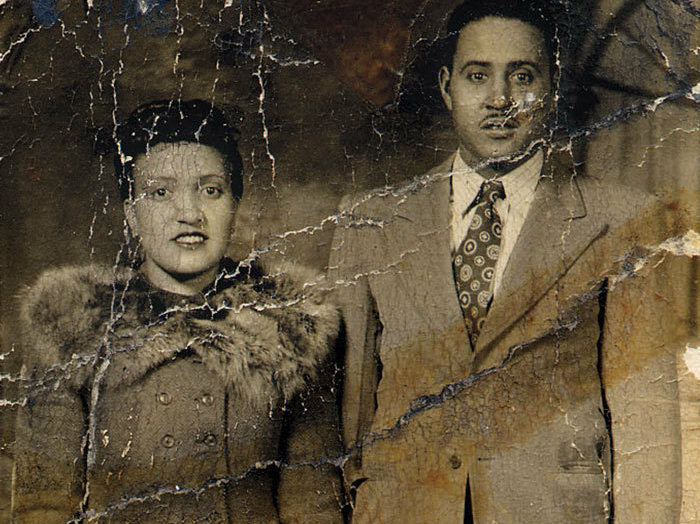 Henrietta Lacks and her husband, David, in 1945. The family of the late Henrietta Lacks finally got the chance to weigh in on how scientists use cells taken from her — without consent — more than 60 years ago. The National Institutes of Health and the Lacks family have agreed to give scientists access to the genetic sequence of the cells, with some restrictions to safeguard her relatives' privacy. NIH Director Dr. Francis Collins described the agreement covering these so-called HeLa cells Wednesday, and how it came to be in the journal Nature. The situation, he says, shines a bright light on a rising ethical issue in biomedicine: How do researchers protect people's privacy when they donate samples for genomic sequencing and scientific experiments? HeLa cells have been mentioned in more than 70,000 published scientific papers. The guidelines governing this issue were drawn up in the 1970s. And they clearly lag behind the technology. The ability to decode a whole genome quickly and cheaply makes it virtually impossible to hide a donor's identity when they give specimens for research. "Science moves forward, advances happen in biology based upon resources that have been donated," Collins tells NPR. "Policy reforms have to be undertaken in order to keep up with the science." The same was true back in 1951 when Henrietta Lacks unwittingly made available to scientists one of the most useful tools in research: cells that replicate and grew indefinitely in the lab. These cells are among the most widely used in biomedical research worldwide. At age 31, the African-American mother of five had an unusually aggressive form of cervical cancer. The doctors treating her passed a piece of her tumor along to researchers down the hall, without permission from her or her family. Henrietta died shortly afterward. But her cells lived on and have helped scientists develop the polio vaccine, in vitro fertilization and an array of treatments for cancer and other diseases. More than 70,000 published scientific papers mention these cells. These HeLa cells are so important that several laboratories have spent years trying to sequence their DNA. Last March, German scientists published the HeLa genome — again without consent from Henrietta's family — and controversy erupted. The scientists hadn't broken any laws. But they did trample on the Lacks family's privacy. Hidden in the sequence is potential biomedical information about Henrietta's descendents, such as their risk for getting Alzheimer's disease or bipolar disorder. "The cells contain within them the original information that Henrietta was born with," Collins says. "And it is possible to go back and discern some of the hereditary information, which, of course, is then information she may have passed on to her children and grandchildren." The German group quickly apologized and took down the DNA sequence from the Web. The NIH then set up a committee that included the Lacks family to figure out a way to publish the HeLa genome, while still respecting the family's privacy. The committee agreed to provide the DNA sequence to researchers on a case-by-case basis. Scientists will apply to get access to the code, and a group at NIH that includes Collins and two members of the Lacks family will review each request. This controlled-access strategy is already used for other genomes deposited in NIH databases. But in many cases, donors give up their rights to know how their genomes will be used and distributed. A previous version of this story incorrectly said Henrietta Lacks had ovarian cancer. She had cervical cancer.